On March 11, 2019 at about 12:57 a.m., a black male, later identified as Joshua Morris, entered the Yucaipa Chevron Gas Station on Yucaipa Blvd. and asked the clerk for cigarettes. While the clerk was distracted, Joshua pulled a semi-automatic handgun from his pocket and pointed it at the clerk demanding money and cigarettes. 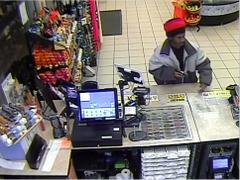 The clerk gave Joshua the money from the register and several packs of cigarettes. Joshua was captured on camera fleeing in a gray colored Hyundai passenger car. On March 14, 2019, Detectives from the San Bernardino County Sheriff's Department, Yucaipa Station and Hesperia Station, coordinated with deputies from the Riverside Sheriff's Office and learned a subject, identified as Joshua Morris, was captured in a stolen gray colored Hyundai passenger car. He was found to match the description of a black male that committed robberies in Hesperia, Yucaipa, Perris and Thousand Palms area. He was found wearing the same clothing seen during the robbery in Yucaipa and was in possession of a semi-automatic handgun. 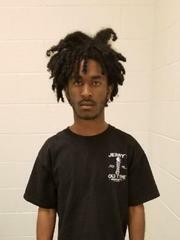 Morris was subsequently arrested for possession of a stolen vehicle and armed robbery. Joshua Morris was also found to be wanted for carjacking out of the State of Nevada. He is being held in the Riverside County Jail and will be charged in San Bernardino County with various felony charges. Photographs of the suspect are being released. If anyone has information about the activity of Morris before or after the robbery, or knows where he resides, please contact detectives at (909)918-2305.